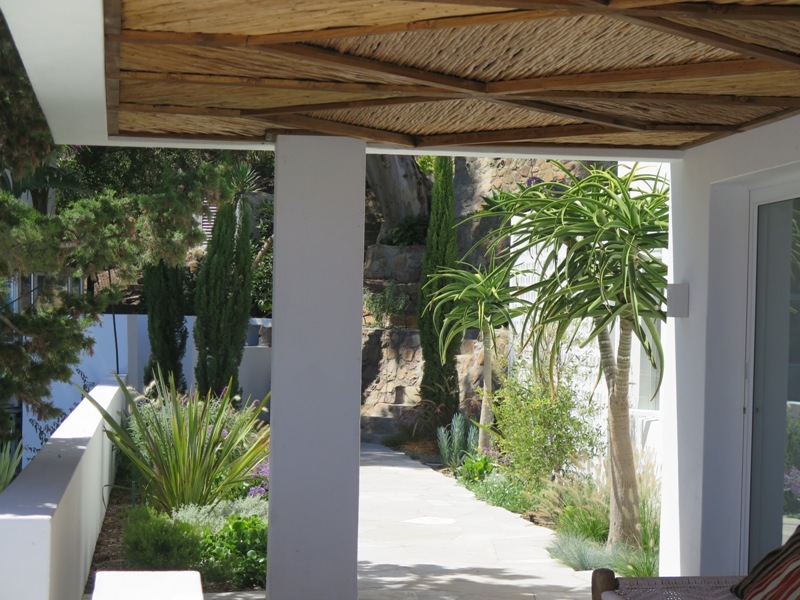 Designed by BeyerHonig and installed by Co-creators in 2016 this was a challenging project with great rewards. 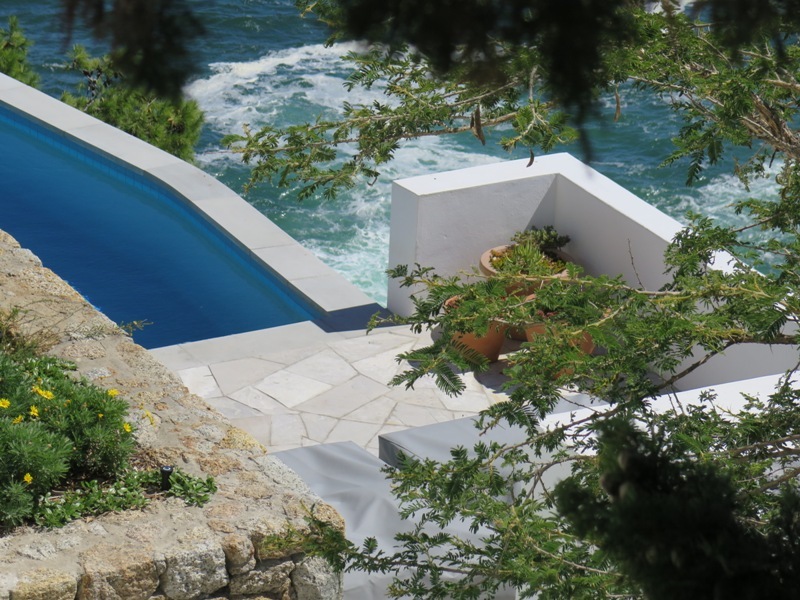 Overlooking the Atlantic Ocean in Clifton the site has enormous granite boulders and is very steep. 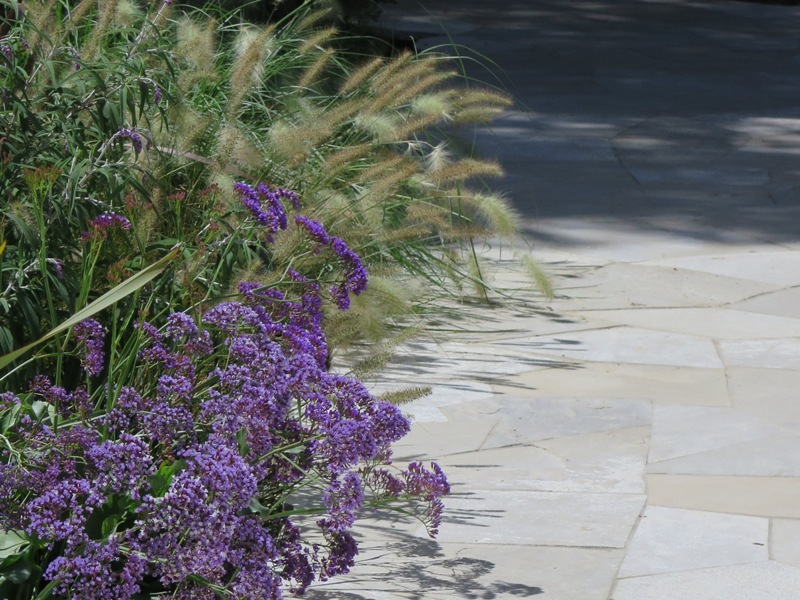 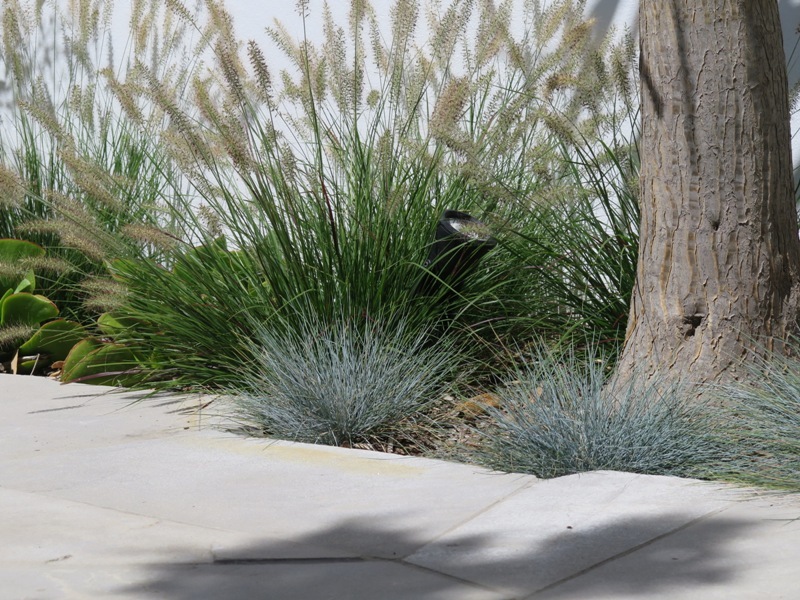 We aimed to create an Elysian Landscape, inspired by style of California modernism. 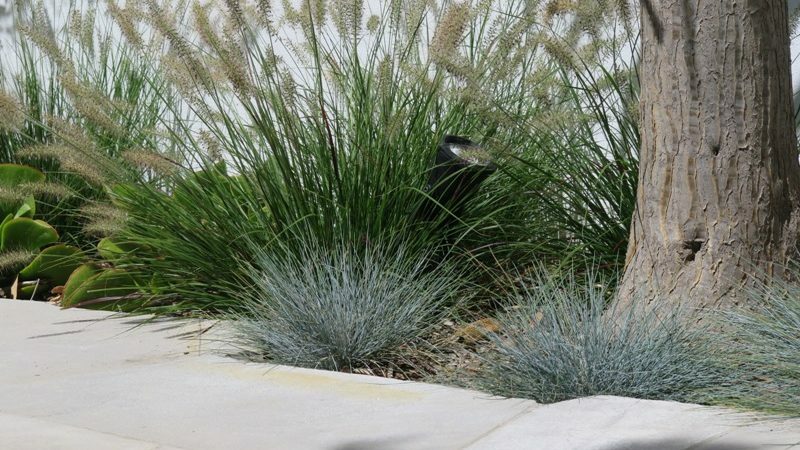 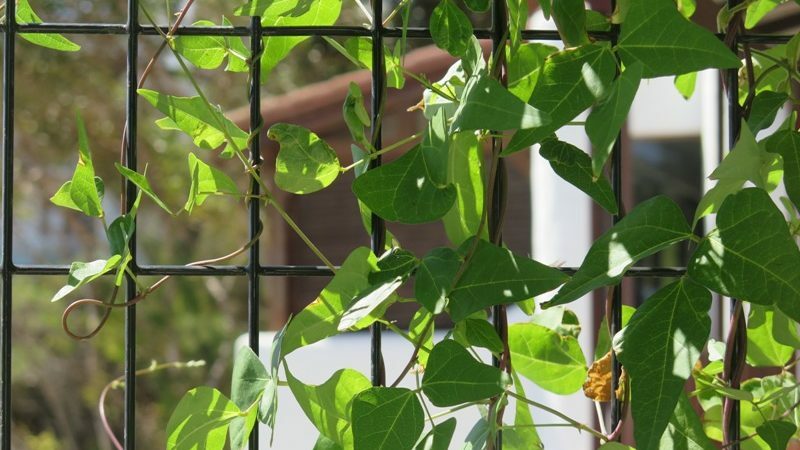 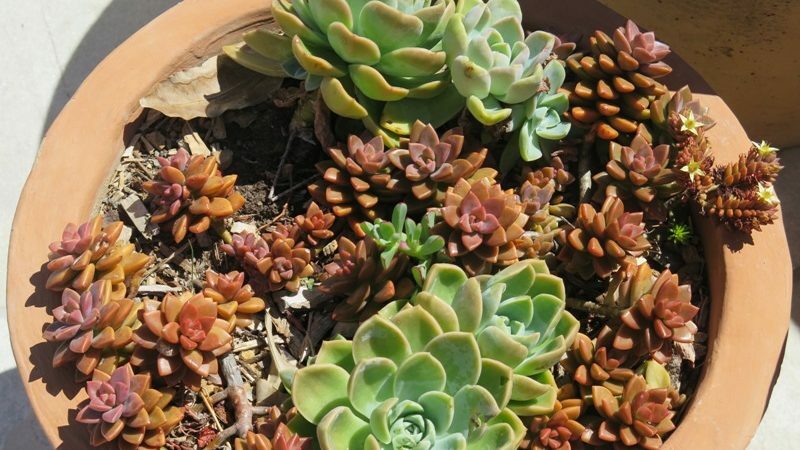 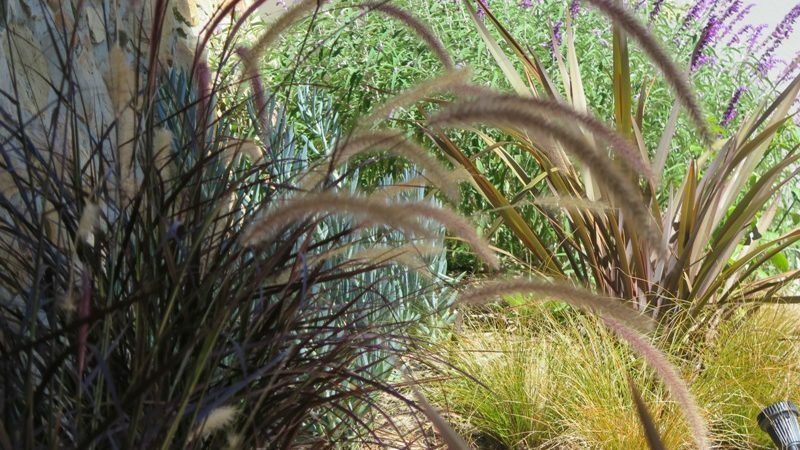 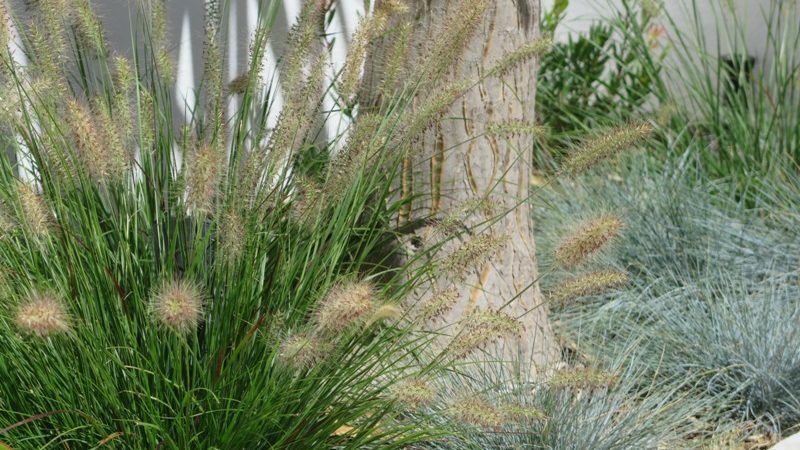 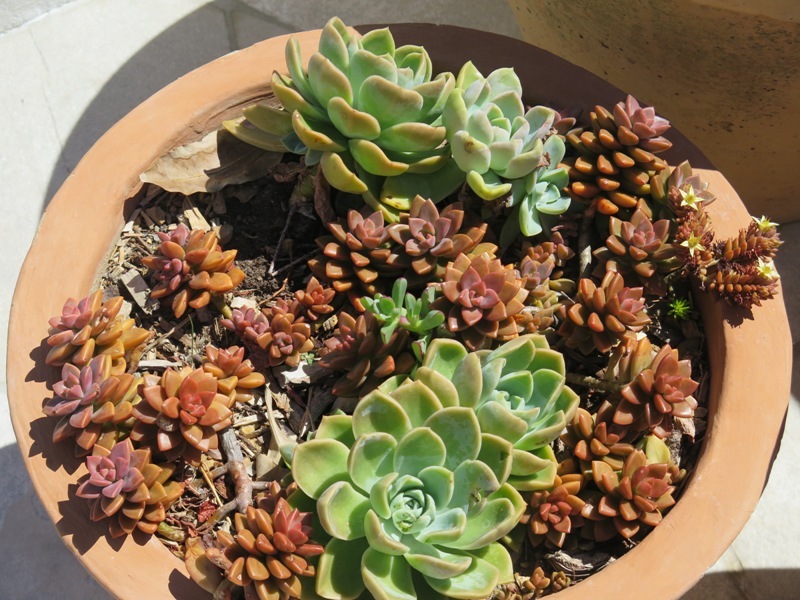 This palette lends itself perfectly to waterwise gardening. 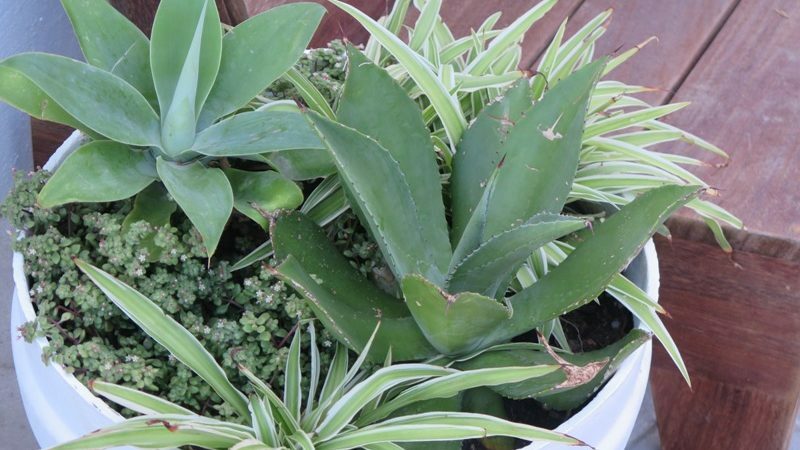 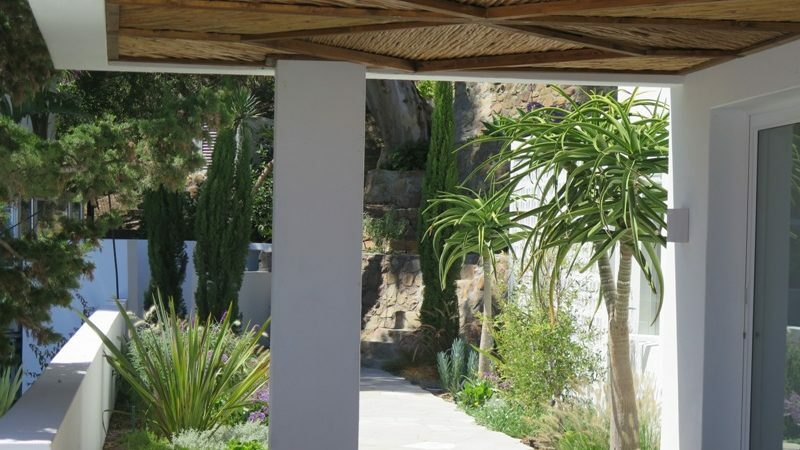 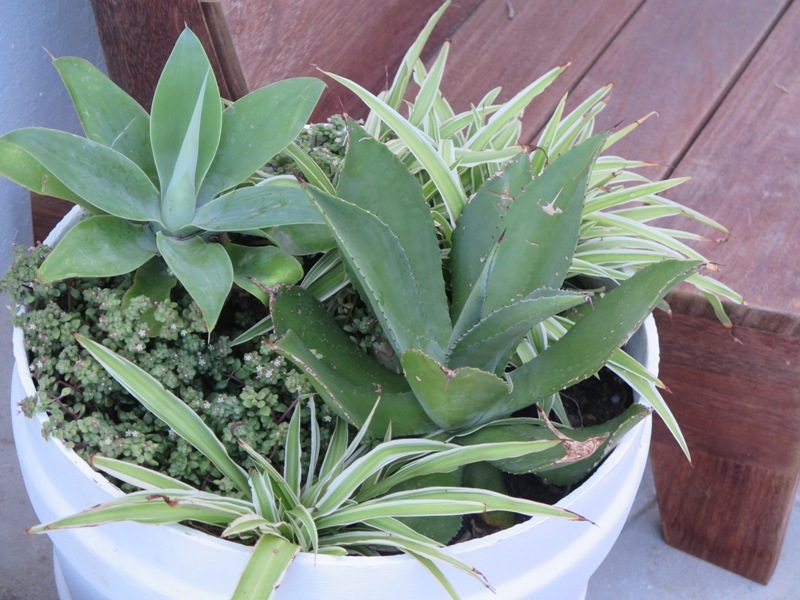 Featuring Yuccas and Aloes the structural plants are balanced with grasses and delicate succulents. 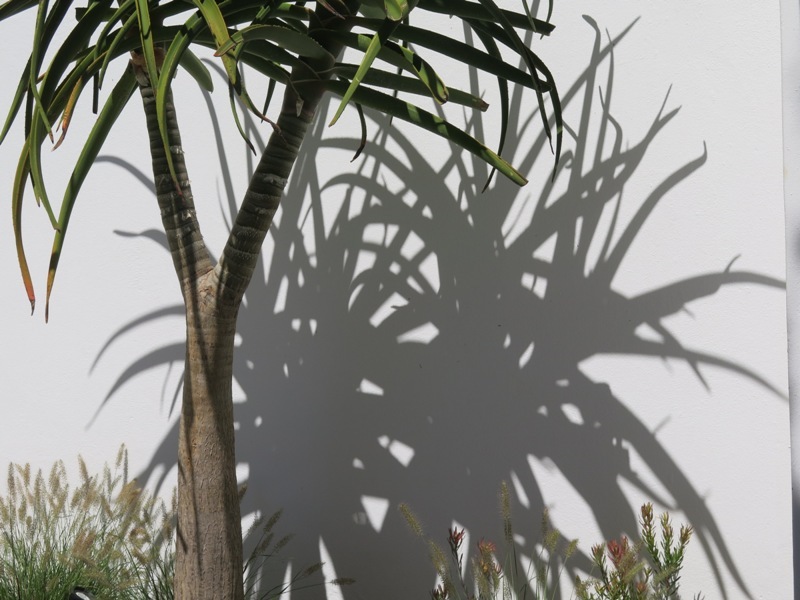 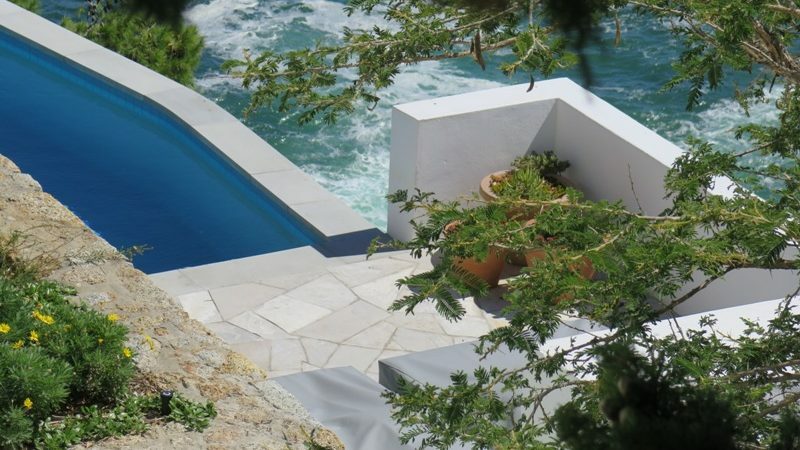 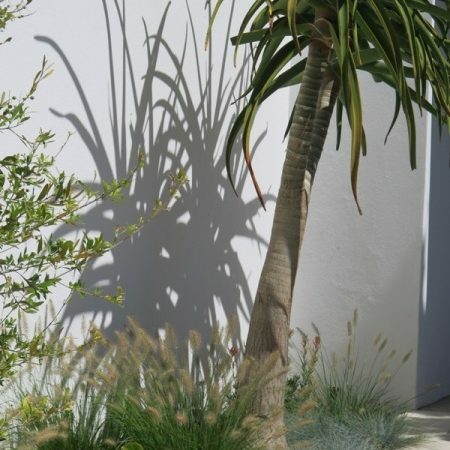 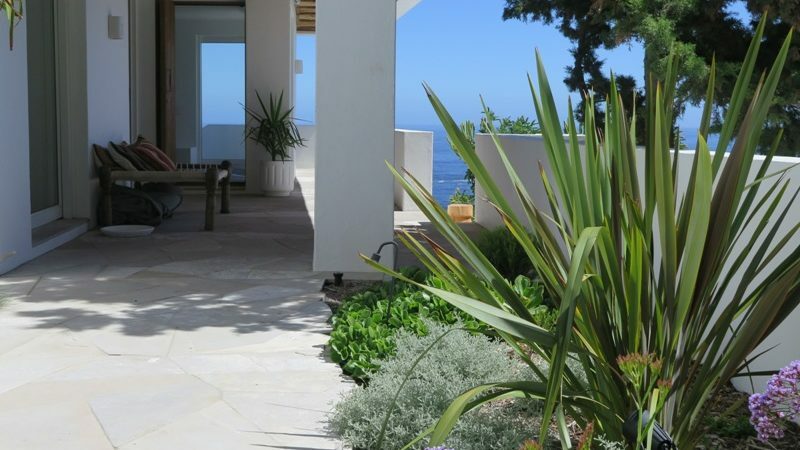 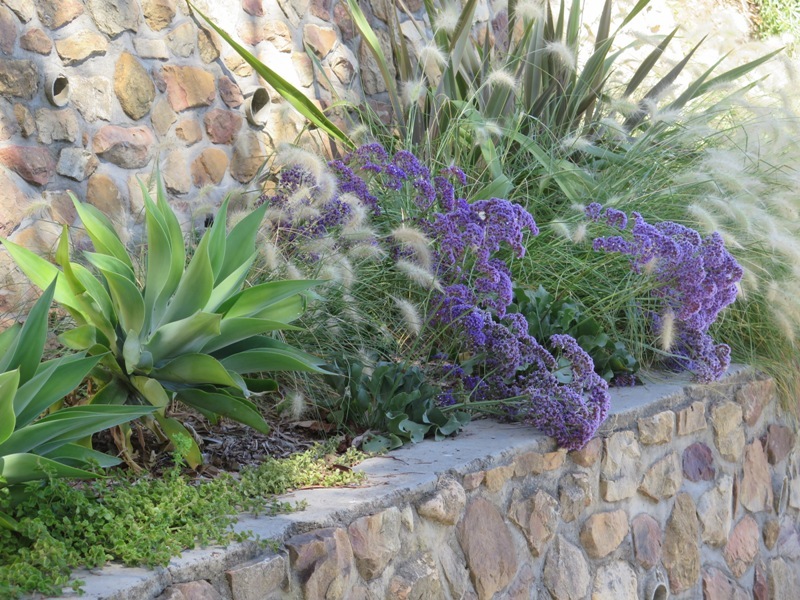 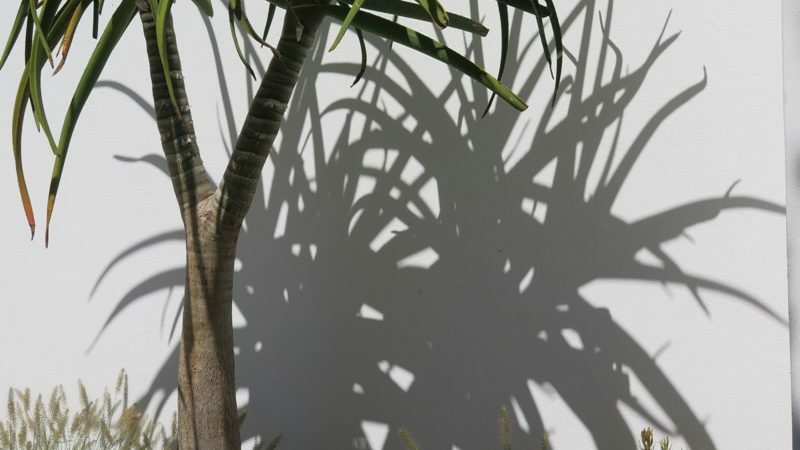 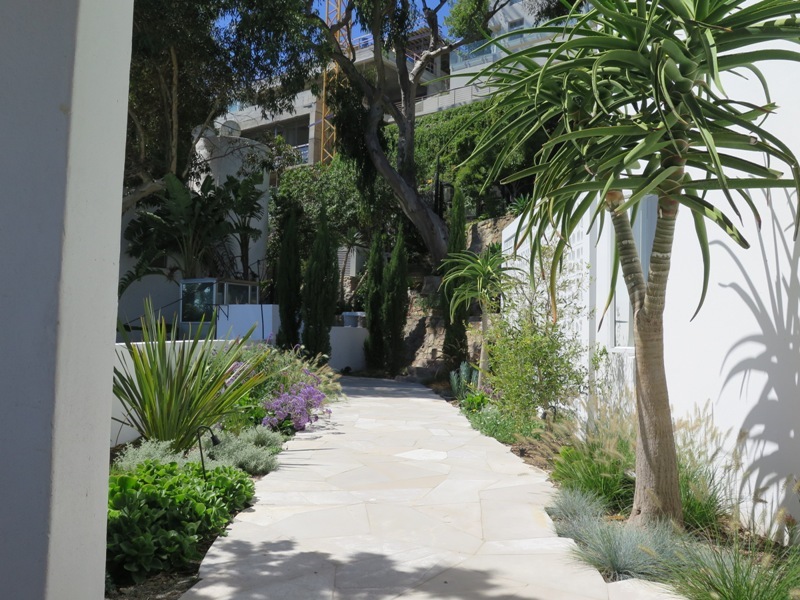 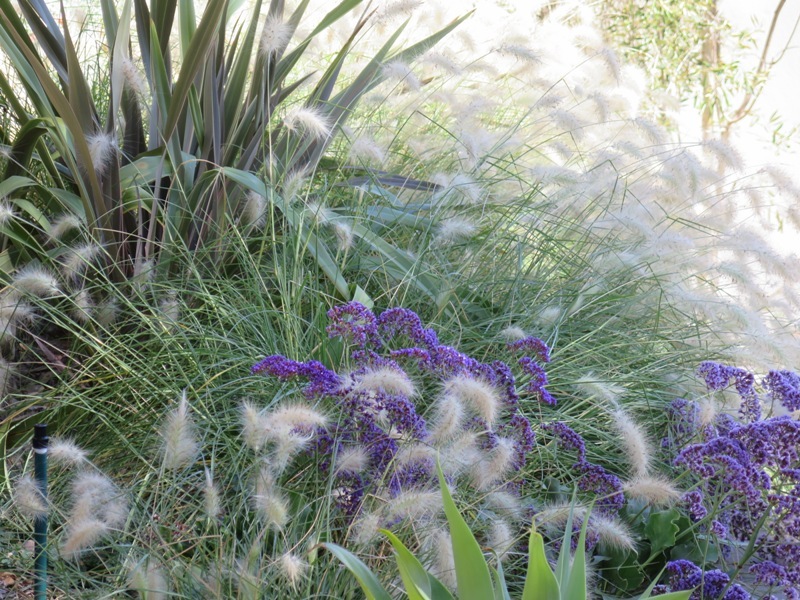 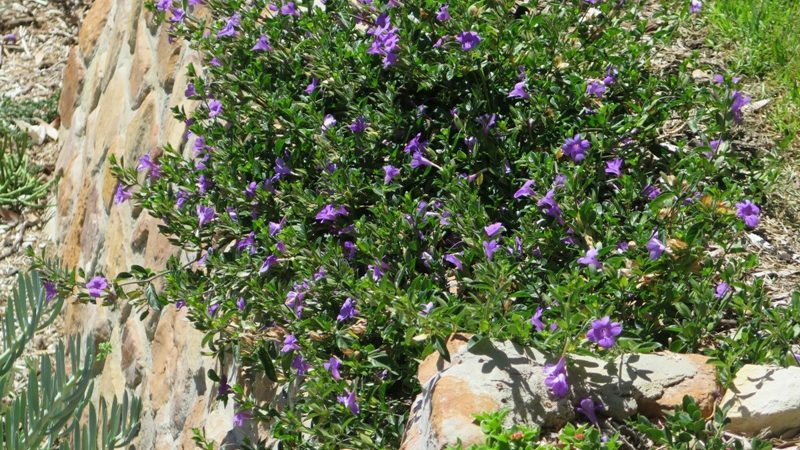 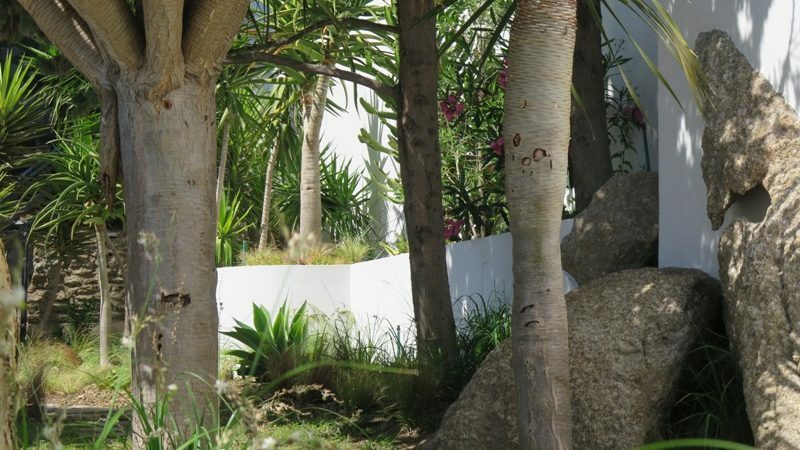 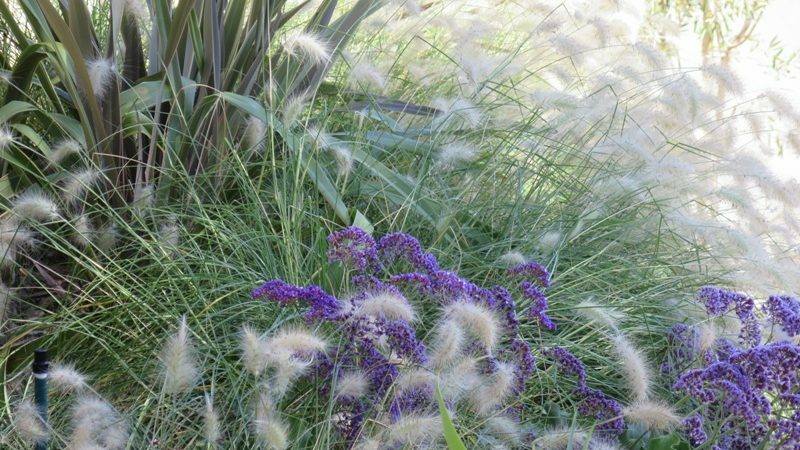 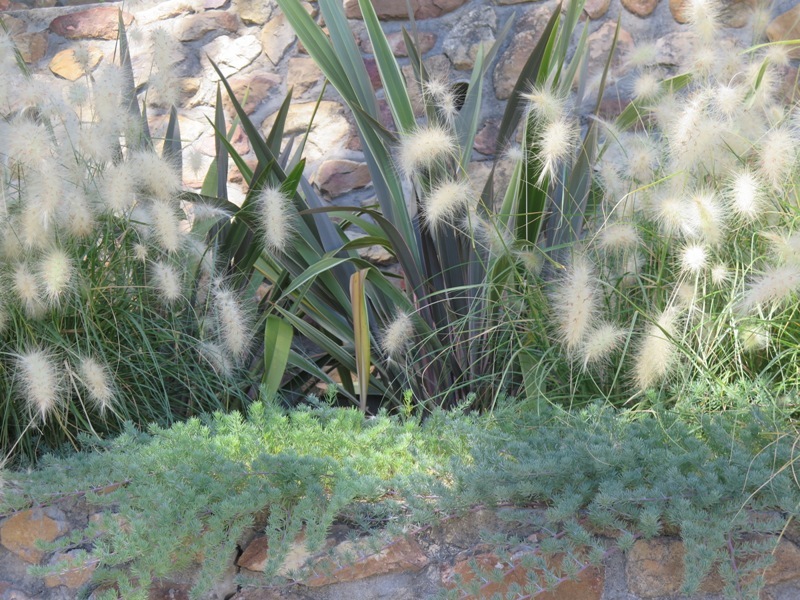 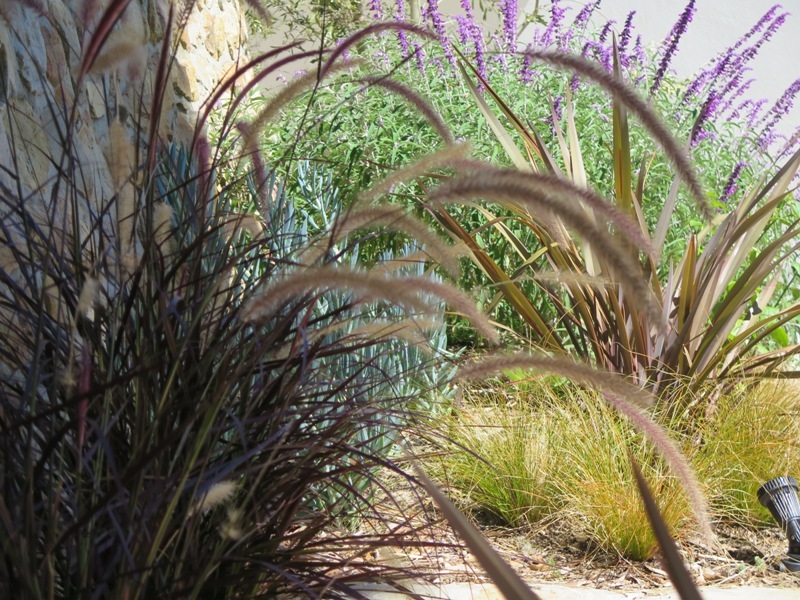 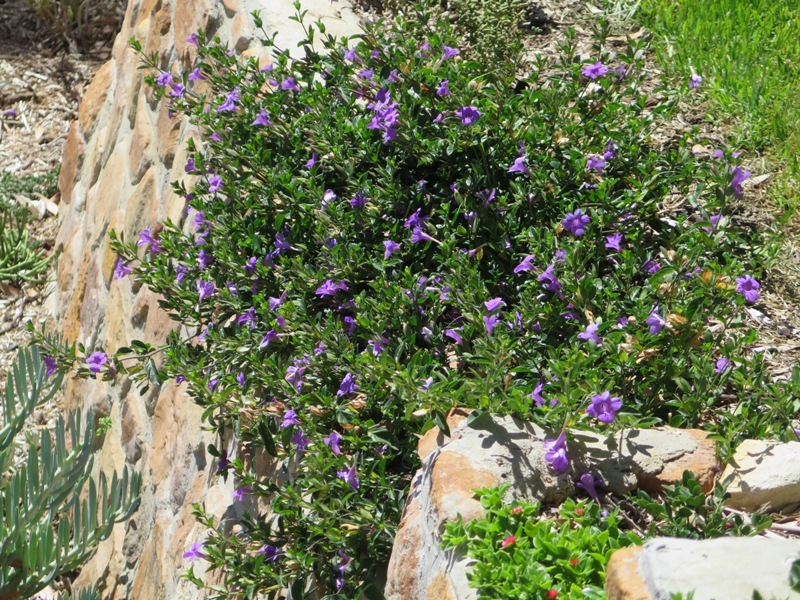 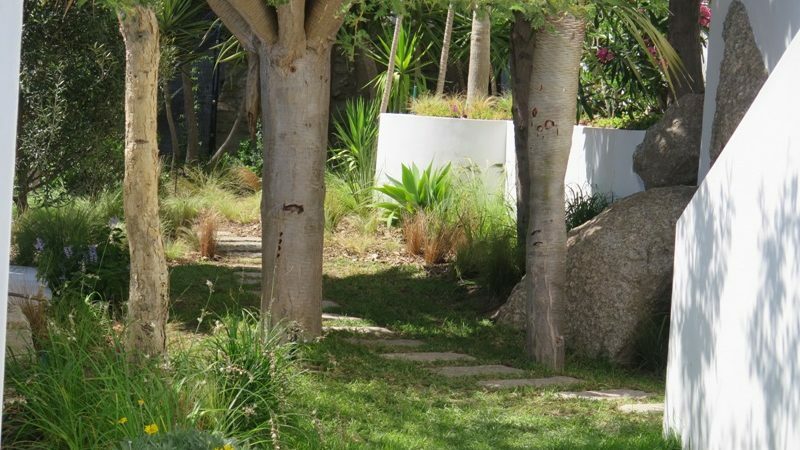 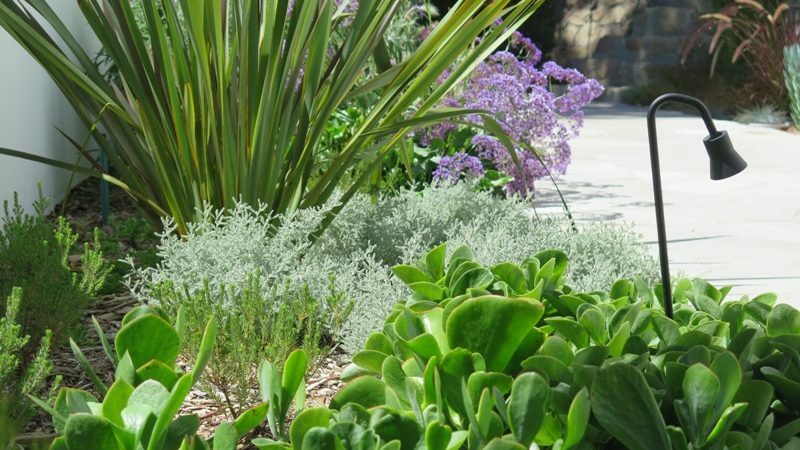 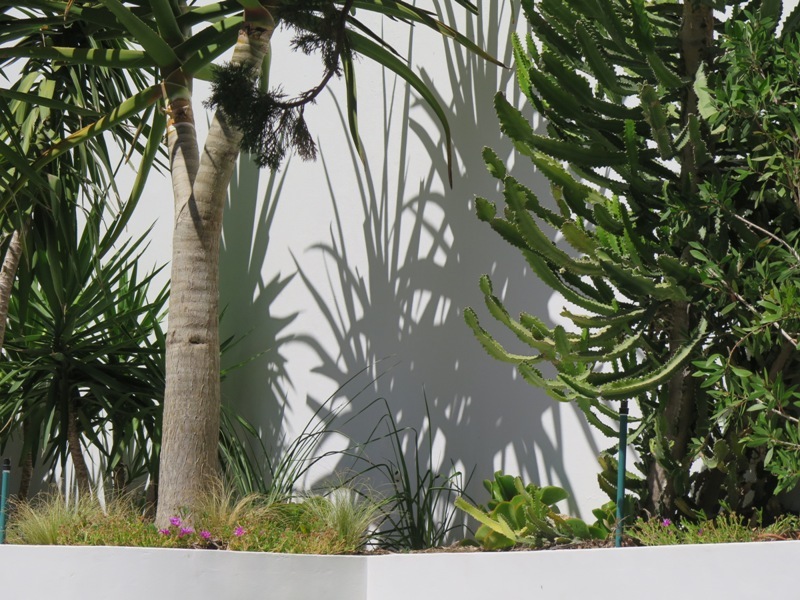 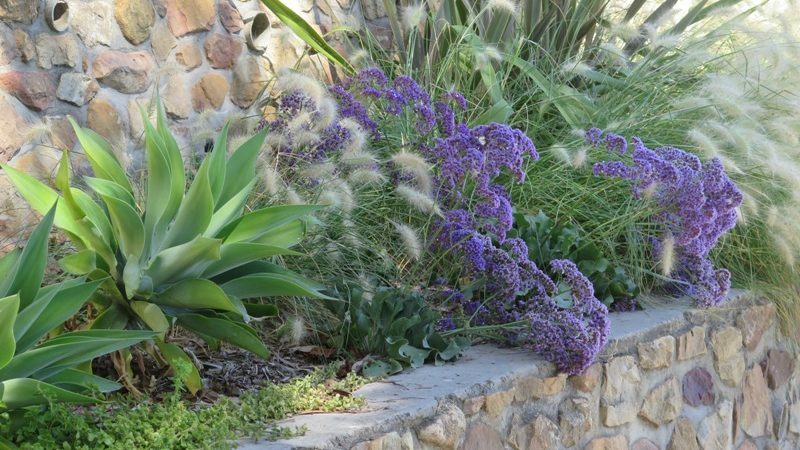 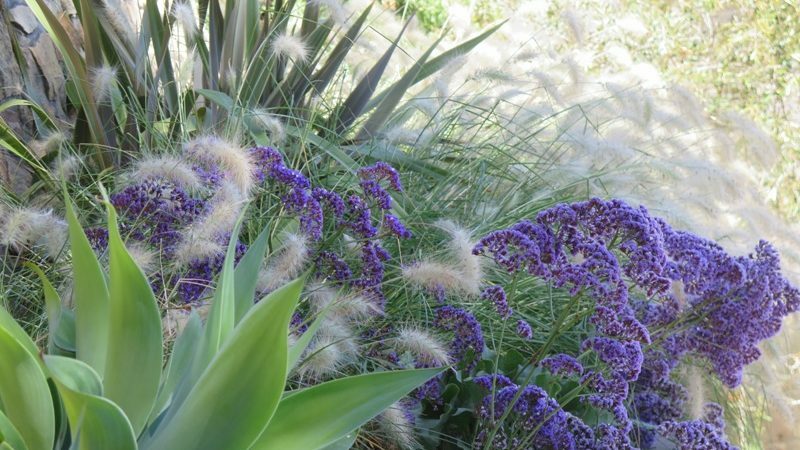 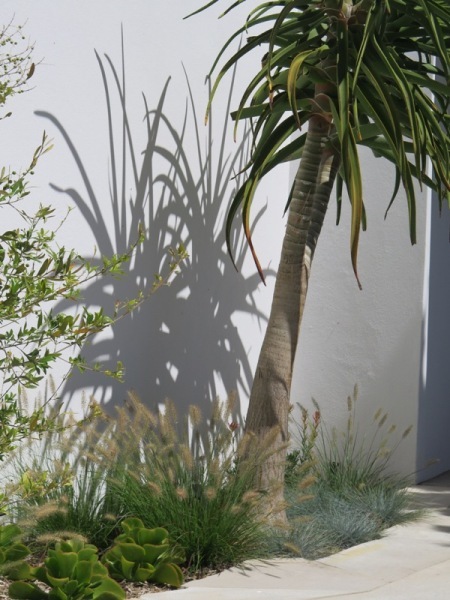 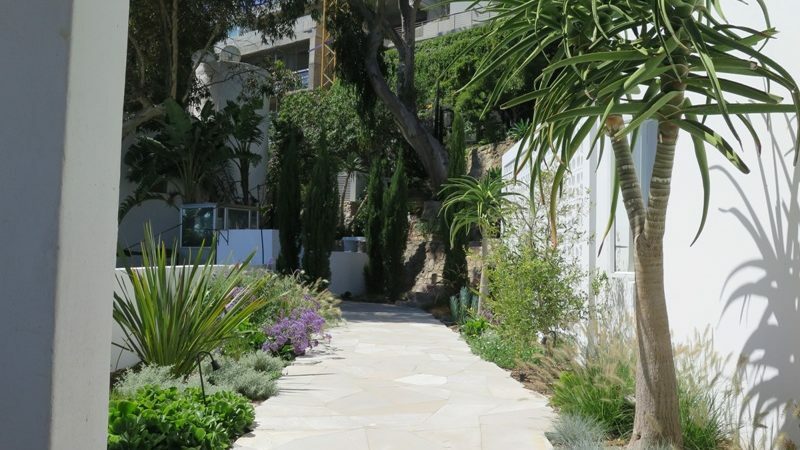 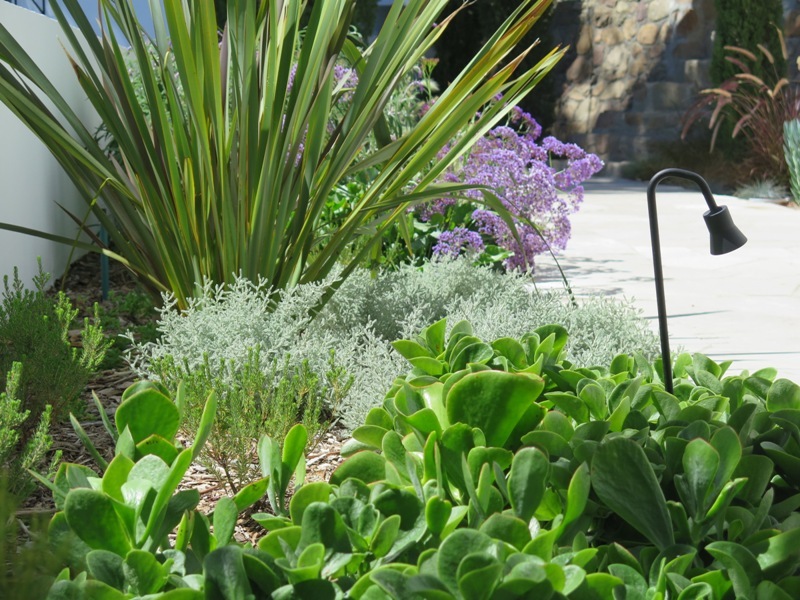 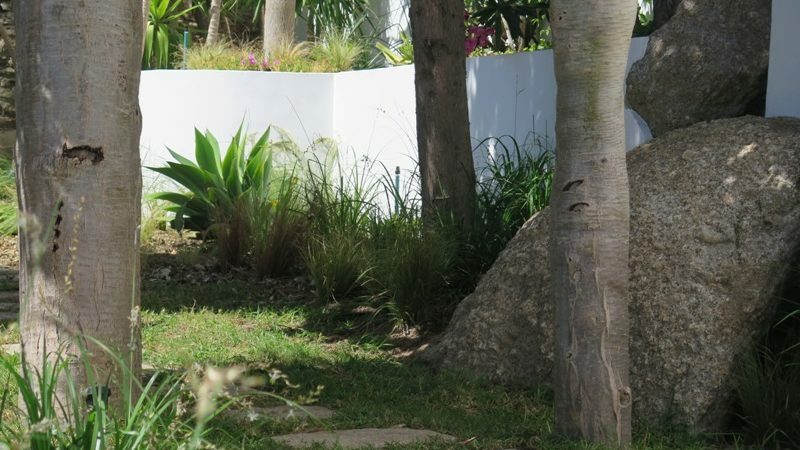 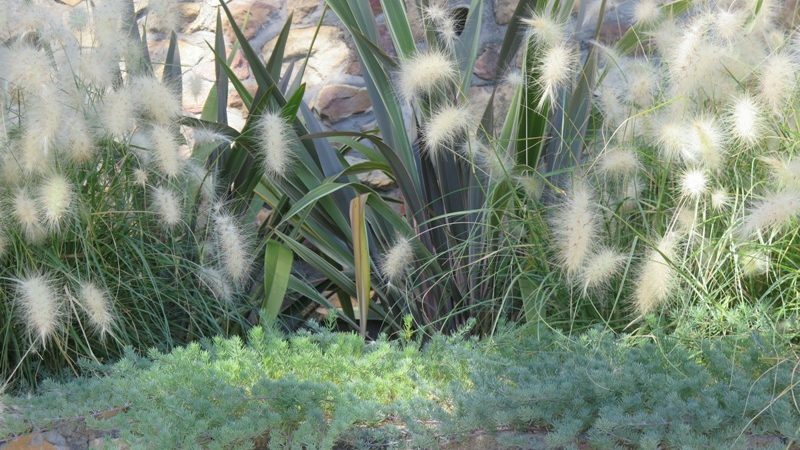 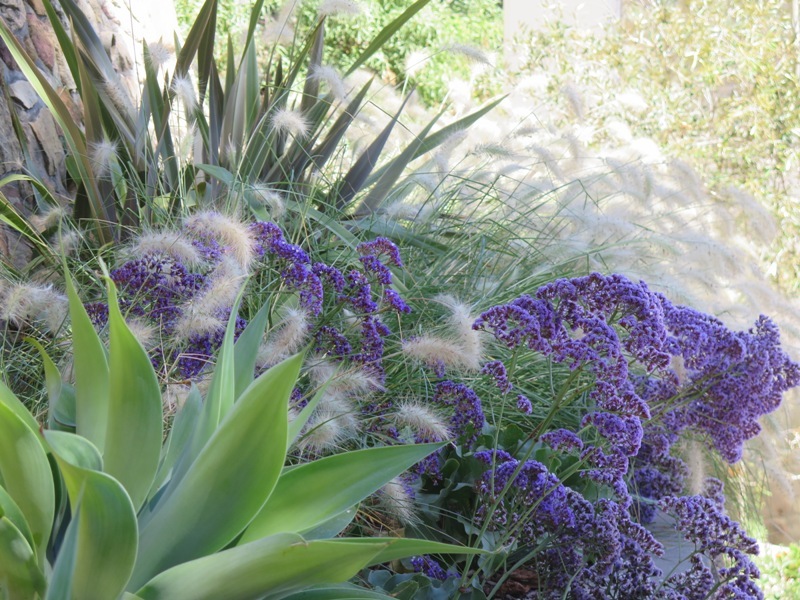 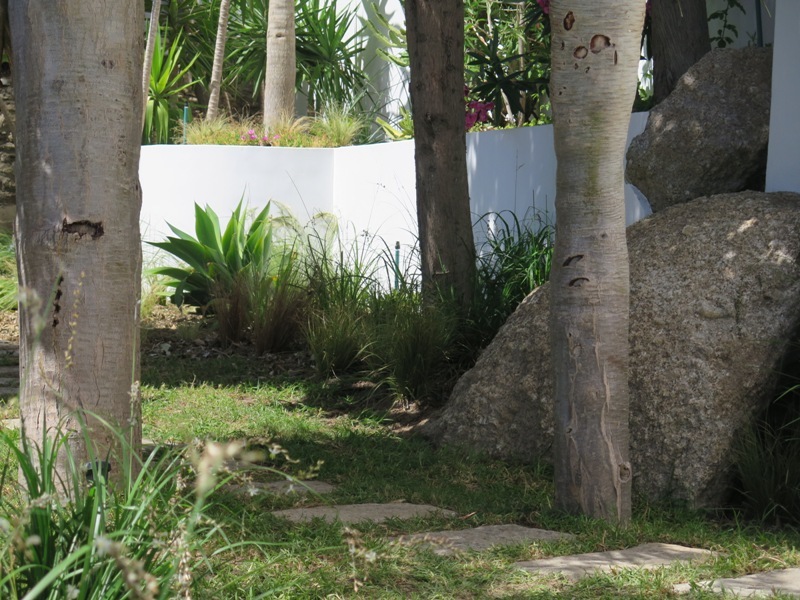 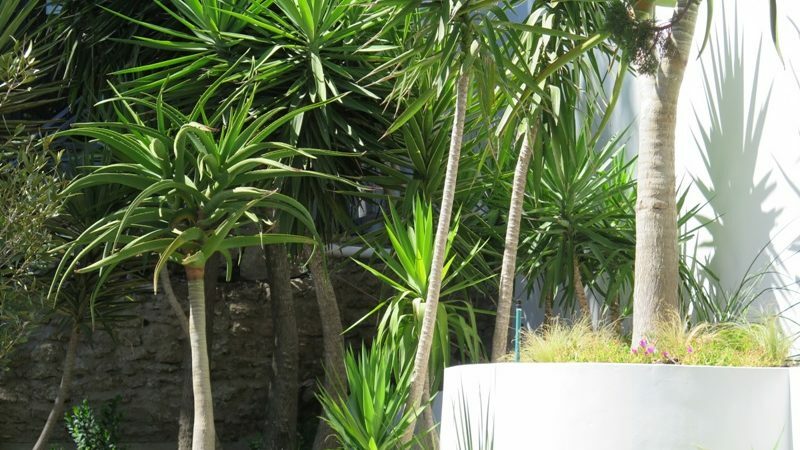 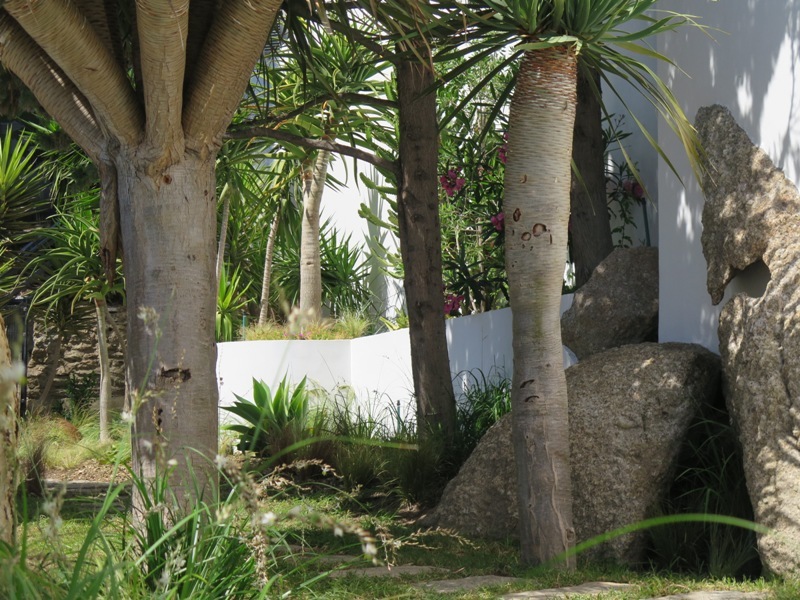 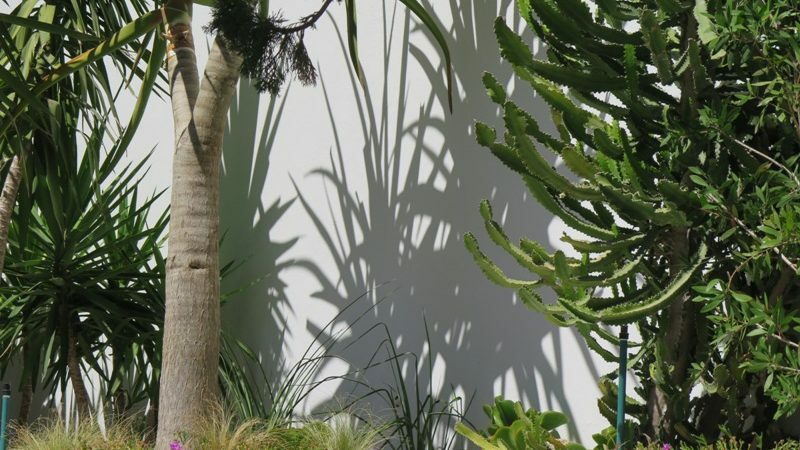 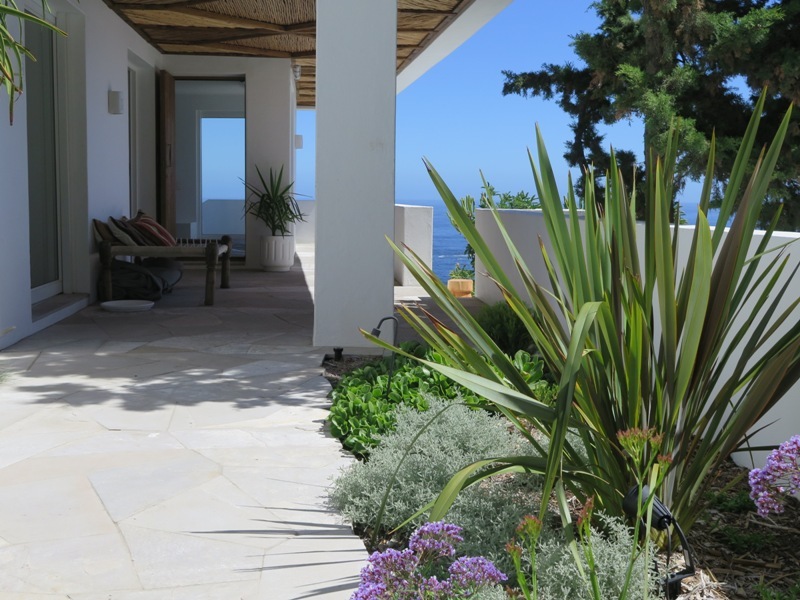 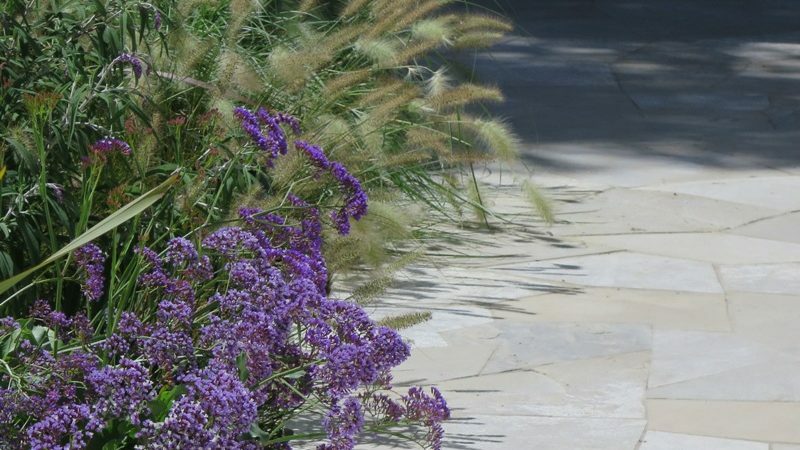 Marijke Honig has done a wonderful job to use coastal endemic plants to complement the look. 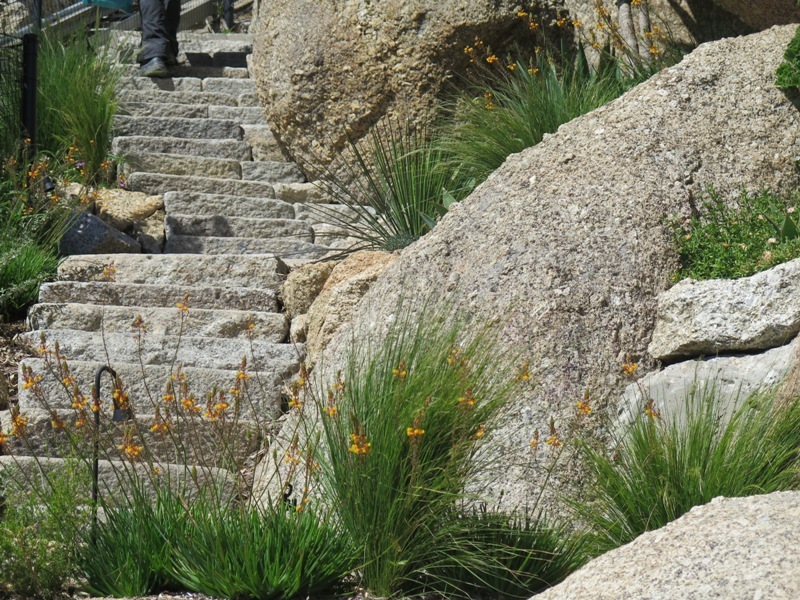 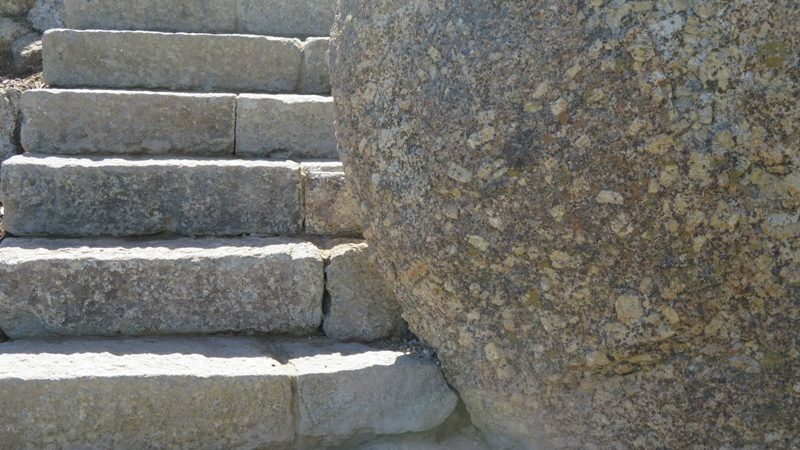 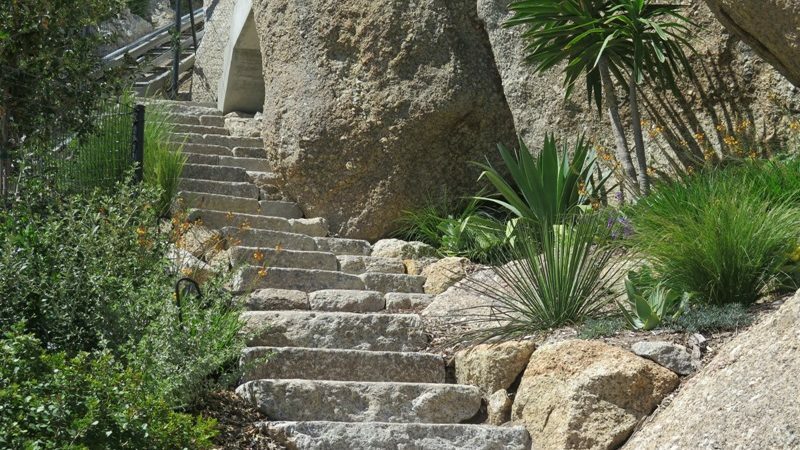 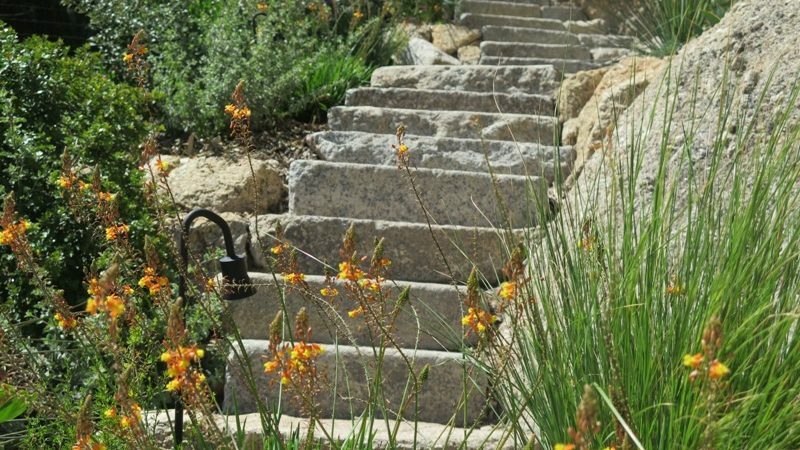 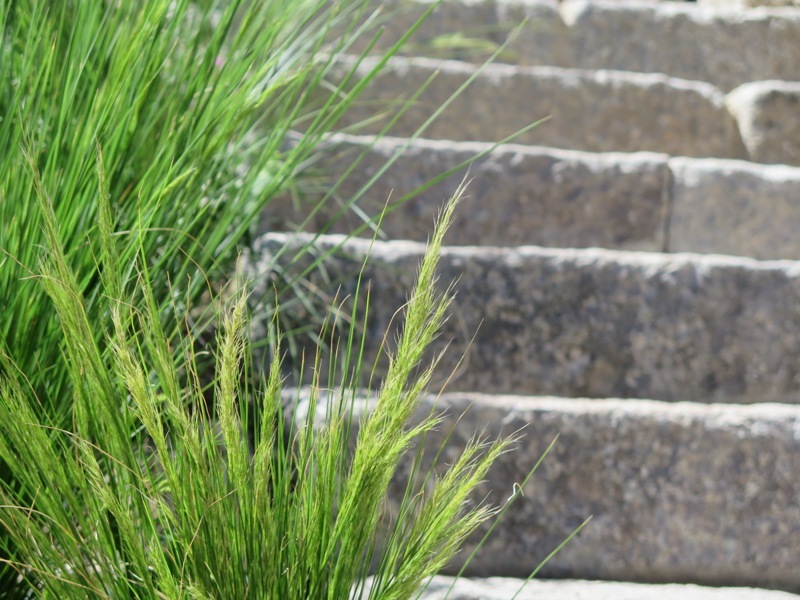 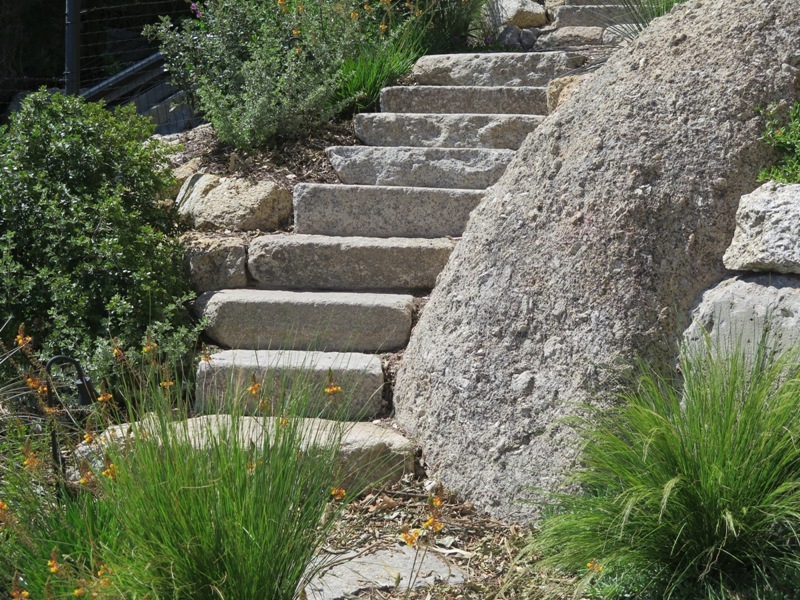 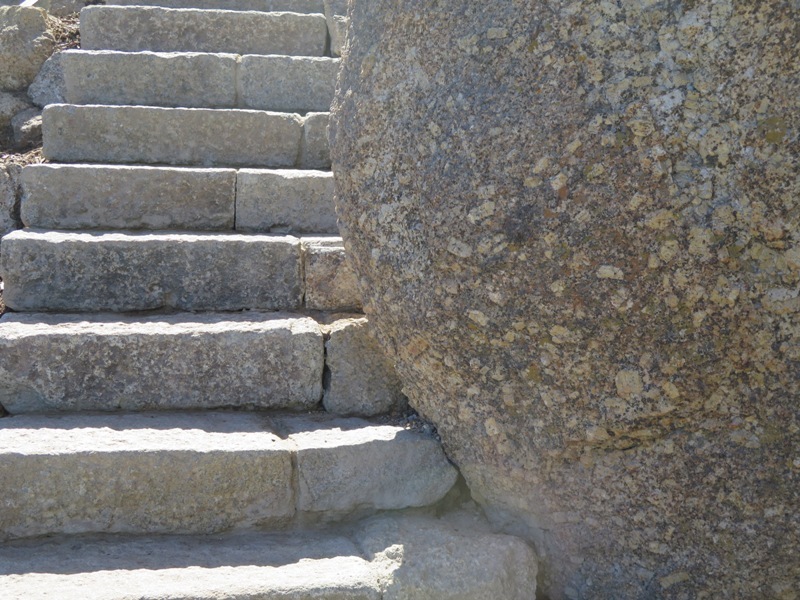 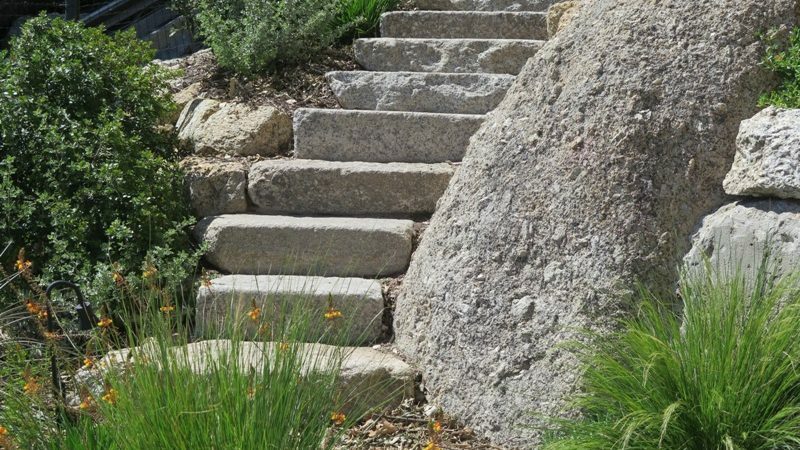 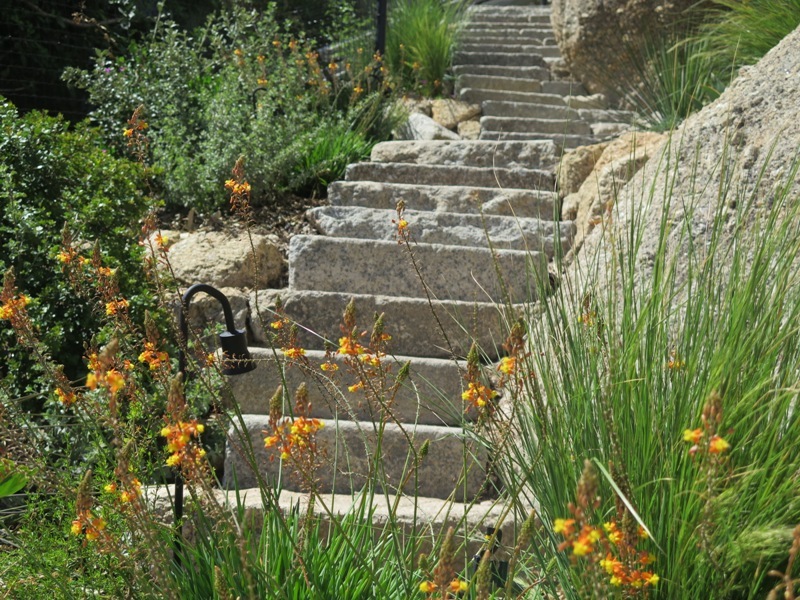 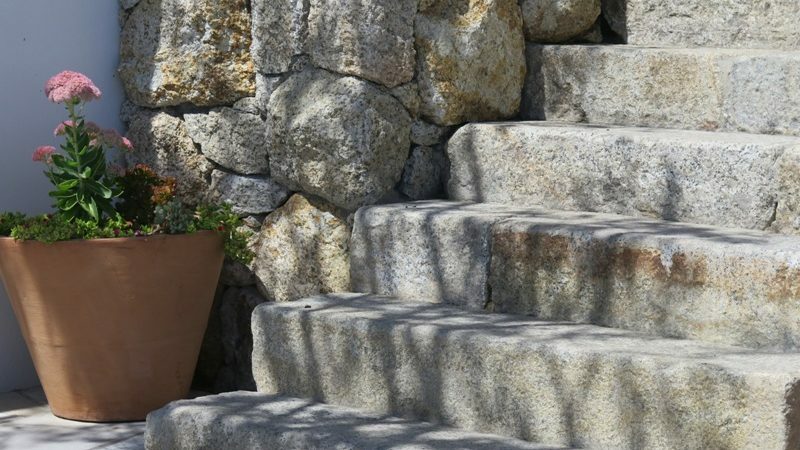 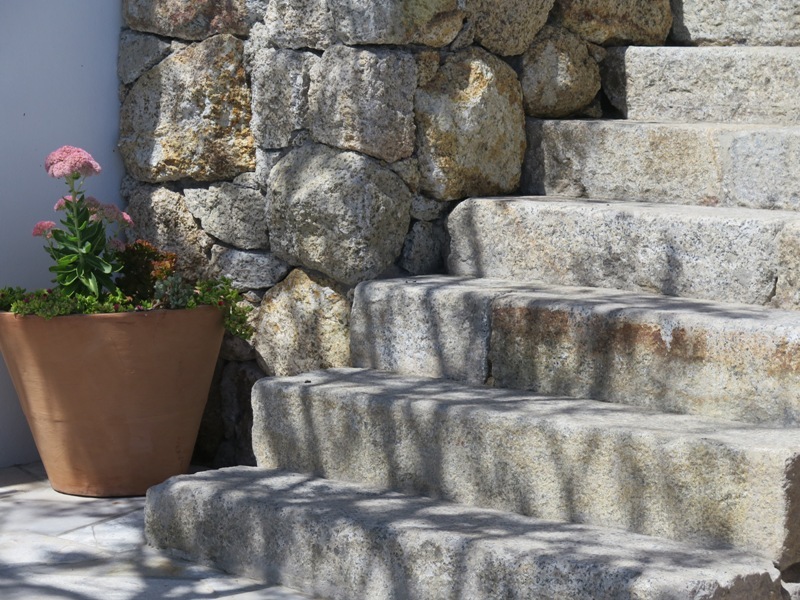 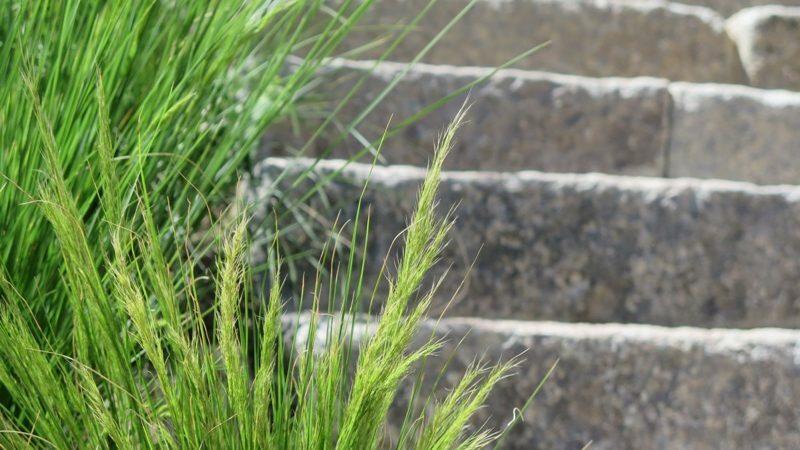 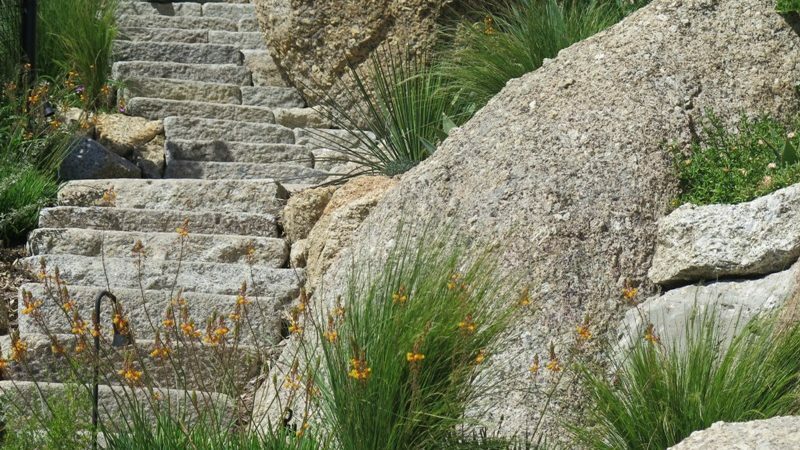 Granite garden steps are added to create a garden walk, masterfully installed by Rob Mackenzie. 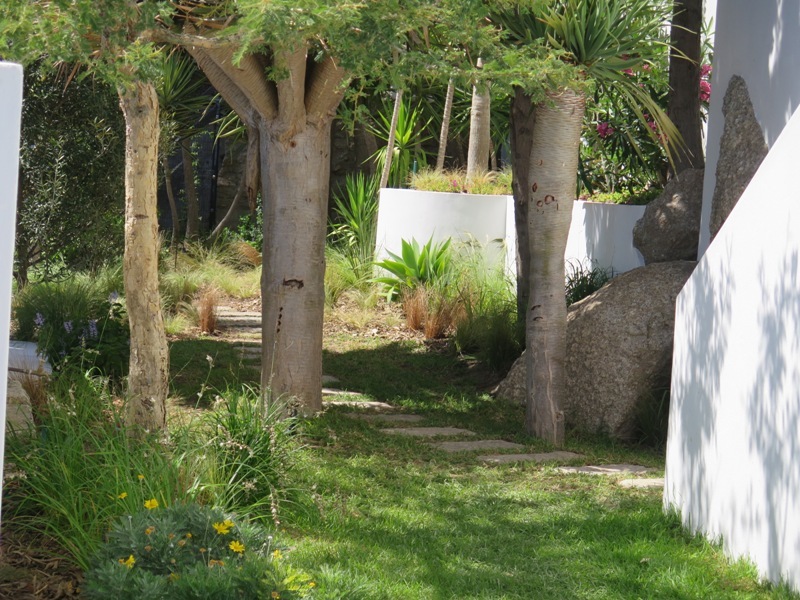 Grey water system:- Will van der Merwe from WETT. 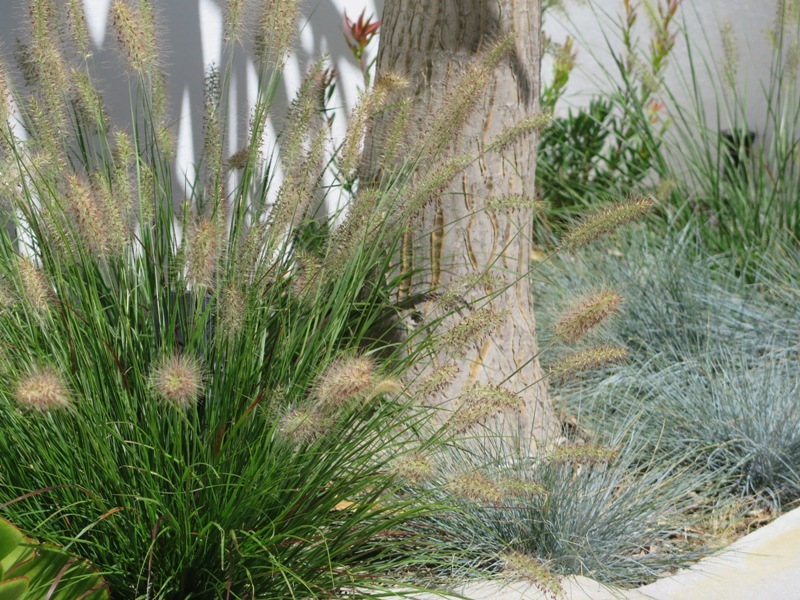 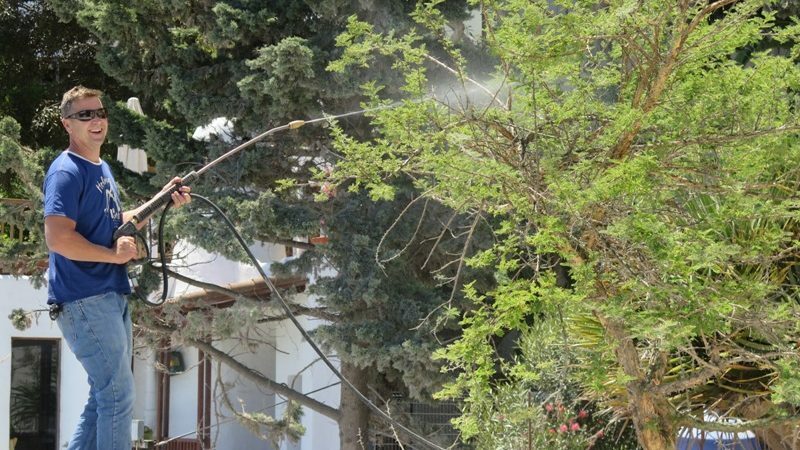 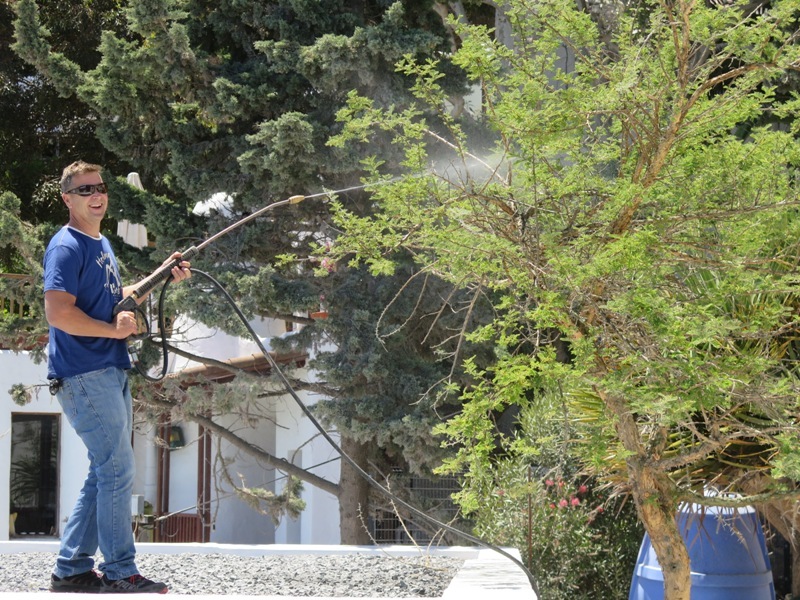 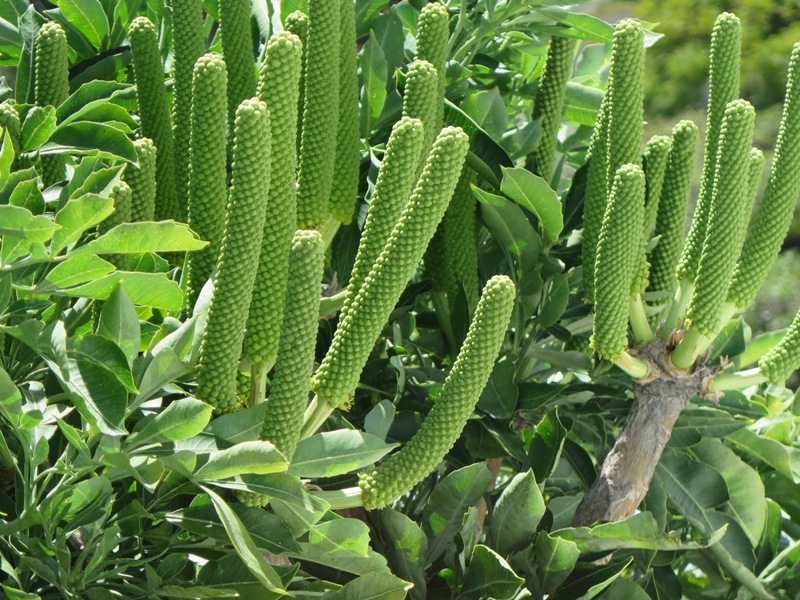 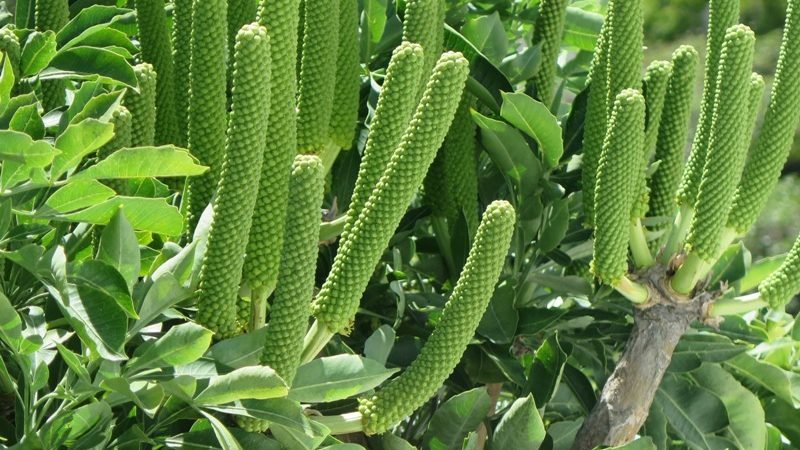 Irrigation by Romi Irrigation. 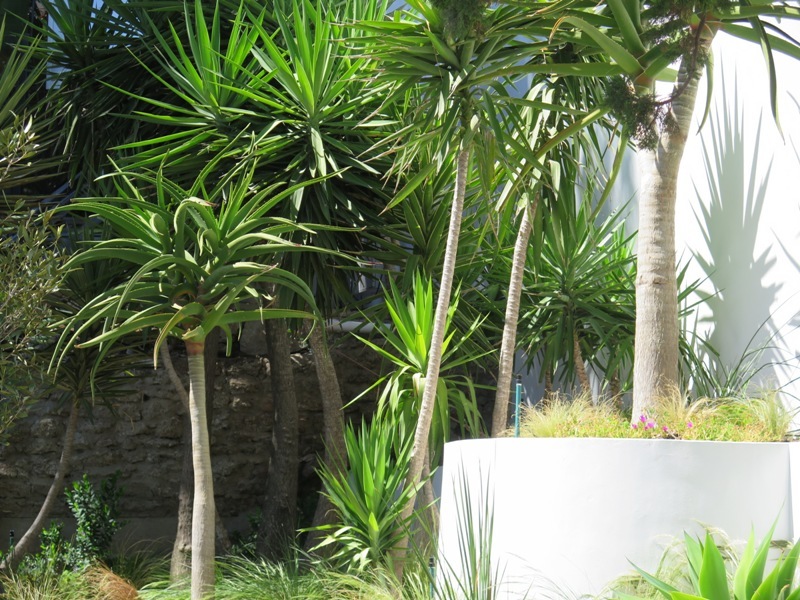 Garden Lighting installation by Thierry, KM Electectrical. 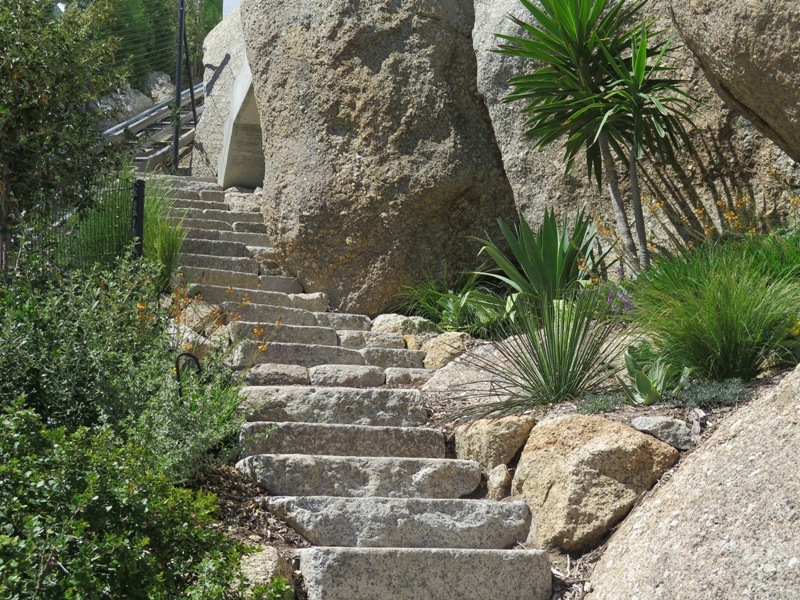 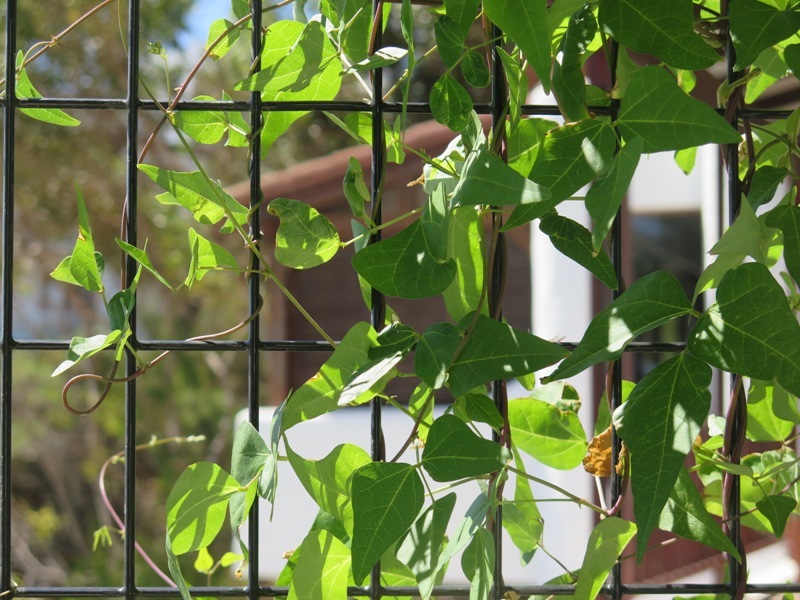 The garden has been maintained by Clare Bell Landscaping.